Alan Sugar eat your heart out! We gave 16 teams £30 in stake money and asked them to come up with some money-spinning ideas during the 30 days of November - hopefully raising money for the Encephalitis Society. And the results in the Apprentice-style competition have been staggering! 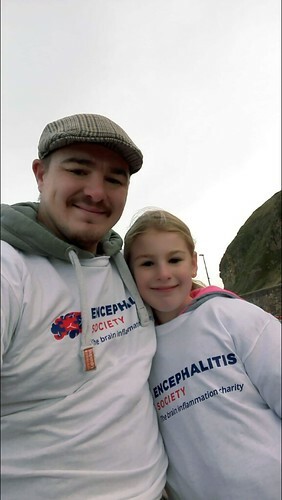 We are delighted to reveal that an amazing £14,000 has been raised for the Encephalitis Society in our Accumulator Challenge – and all from an outlay of £480. When we first suggested holding an Accumulator Challenge, we were hopeful that the teams would generate a good return from their £30 stake which was generously donated by Access Legal solicitors and Temple Legal Protection. In no way did we expect the returns to have been so astonishing. To have raised £14,000 is 30 days is easily one of the most successful initiatives we have ever had. The challenge involved everything from cake sales, cyclethons and auctions, through to a cocktail night, craft workshop and even one team pledging to run one million metres in one month. At the start of December, staff at the Encephalitis Society then got together to reward some of the teams for their exploits. Winning team members will now be invited to an awards ceremony at the House of Commons, London, on Wednesday, January 17.